The recent flooding in the UK, particularly in Berkshire, has caused a new kind of problem. People who work in graveyards and funeral homes find it hard to do burial these days. The high groundwater levels have been causing graves to collapse. 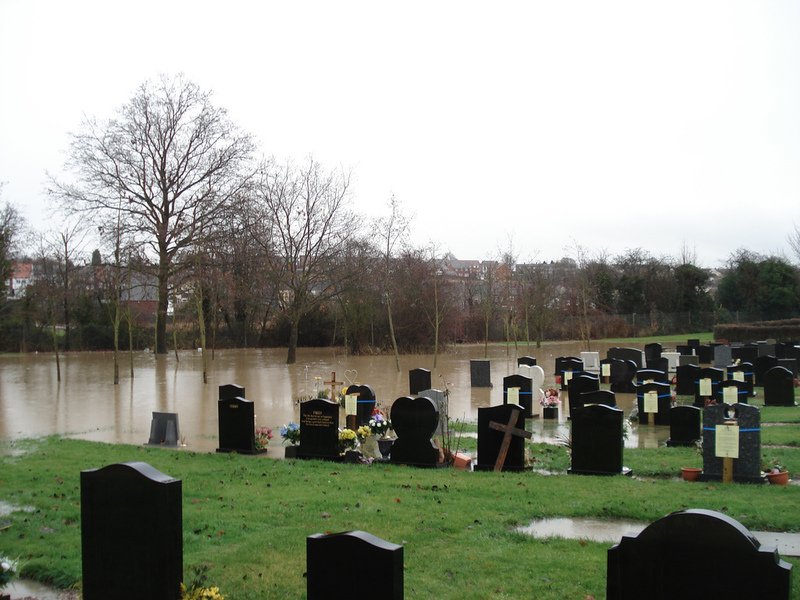 Some cemeteries have resorted to pumping water out of the graves. “At some funerals the family have had to stand not too close to the graves to make sure they don’t collapse,” said Julian Walker, from funeral director AB Walker & Son.